The weather was one of those perfect days you get every now and then, so on Saturday we decided to visit the Lal Lal Falls. 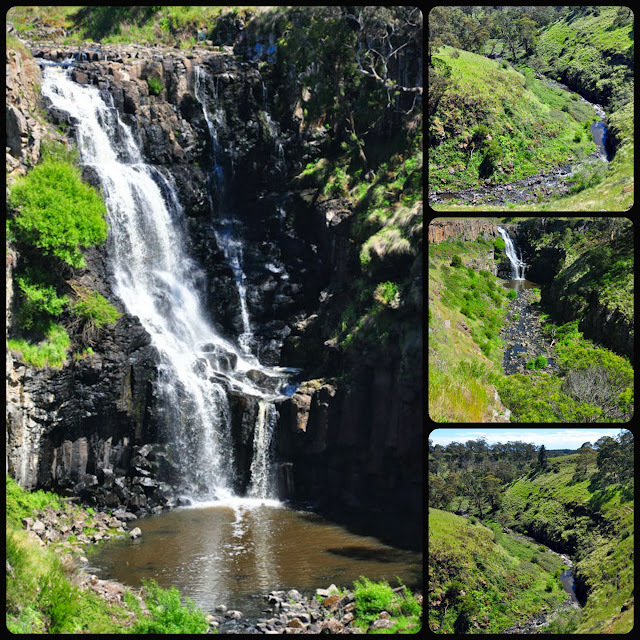 The falls are located 20 klms SE of Ballarat or 70 klms NW of Geelong. Very easy to get to from either direction. The Lal Lal Falls were first discovered in early 1837. 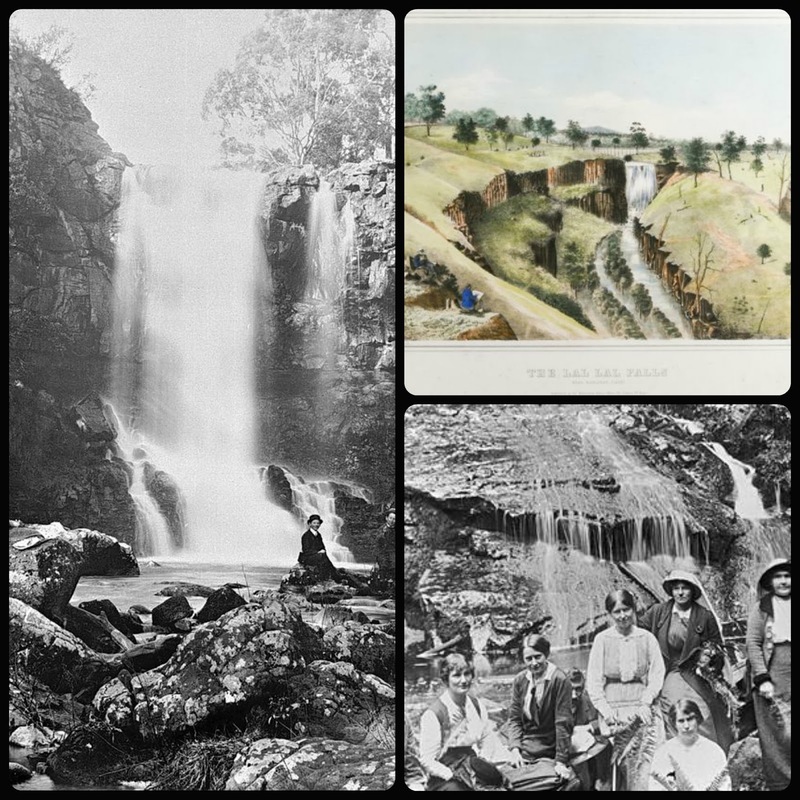 The following image shows the falls as they were many years ago. The top right image is a Hand coloured tinted lithograph by Charles Troedel - circa 1864. The lower right is a group of women at the the base of the Lal Lal Falls, circa 1905. The main image on the left is of a group at the base. 30 Sep 1896. All three images (in the one below) are courtesy of Museum Victoria. Lal Lal is home to the spectacular Lal Lal Falls - a name meaning ‘dashing of waters', as determined by the original Wuthaurung community inhabitants. 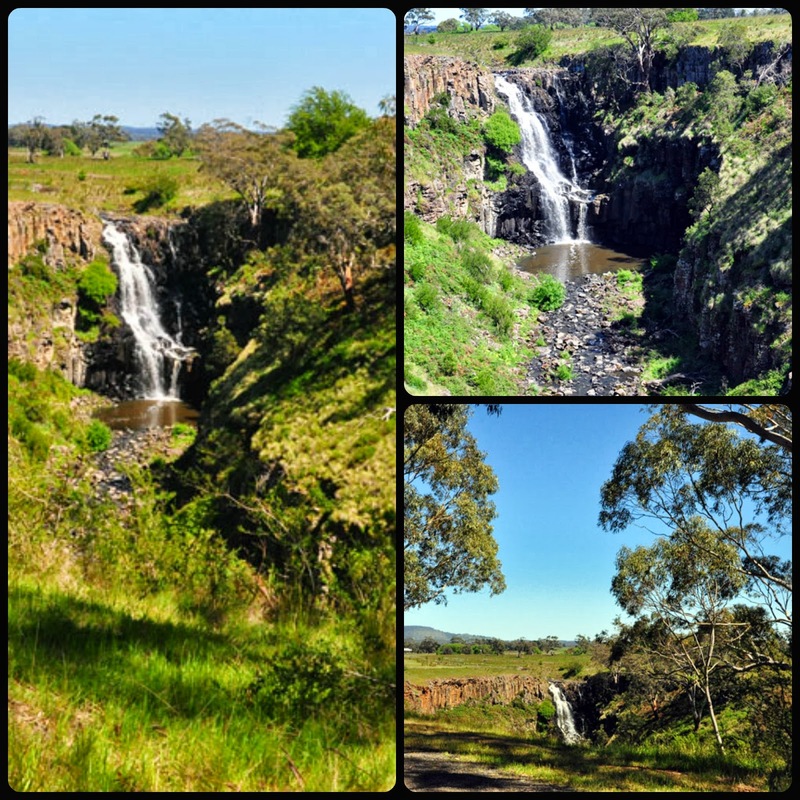 The Falls are also significant as the spiritual resting place of the Kulin Peoples. The township of Lal Lal was originally part of an extensive sheep run established in 1845 but later formed around the discovery and mining of iron ore, lignite, kaolin (clay) and to a lesser degree, gold. The opening of the Lal Lal railway in 1862 cemented the township as an important mining location and site for transportation of minerals. The town grew with people mostly associated with the local mining industries and with it came development, hotels and a favourite pastime of the era, horseracing. 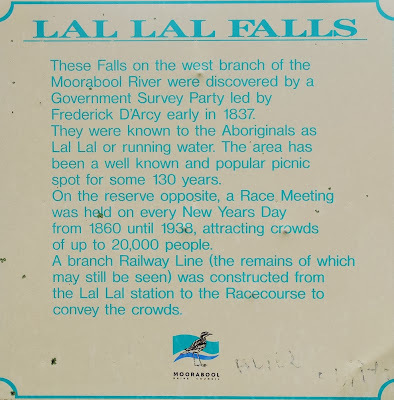 Lal Lal became a popular tourist destination because of the Falls and its country racing program. The New Year's Day Race Meeting drew crowds from far and wide with over visitors flocking to the event by steam train. A special train line was built to link the railway station with the race course. 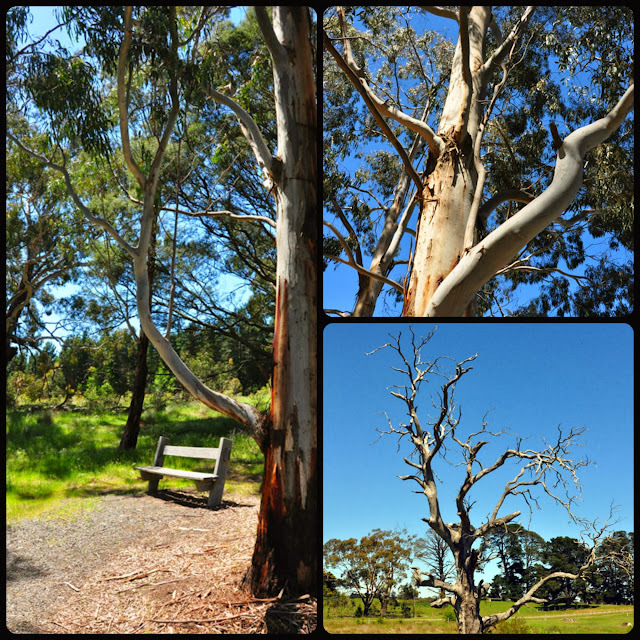 The image showing the seat, is a lovely spot to sit and meditate, there is no noise of traffic or people, just the gentle sound of the waterfall and the birds chirping! 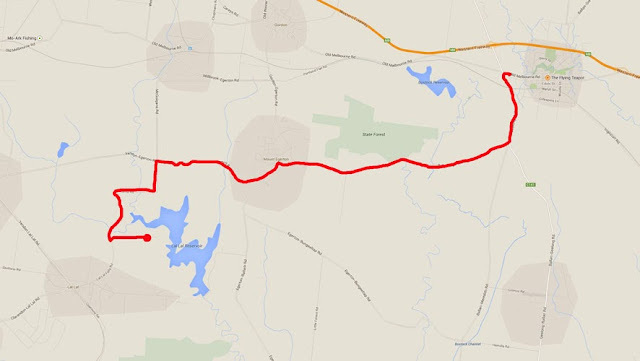 Information on the Lal Lal area from "Growing Moorabool" website.